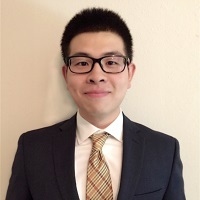 Shuyang Zhao began working as a Bioinformatics Analyst for Cincinnati Children's Hospital in March 2017, while still completing his course requirements for the M.S. in Statistical Science degree. Cincinnati Children's Hospital was ranked third among all Honor Roll hospitals in the 2016 U.S. News & World Report survey of best children's hospitals. Shuyang works in the Department of Neonatology and Pulmonary Biology, whose main goal is to develop and apply bioinformatics and systems biology approaches to gain a better understanding of molecular mechanisms behind big data sets. His job involves exploring statistical and machine learning methods applied in single cell RNA data analysis, and data manipulation for acquiring robust analysis results implying biological insights for experiments on both mice and humans.